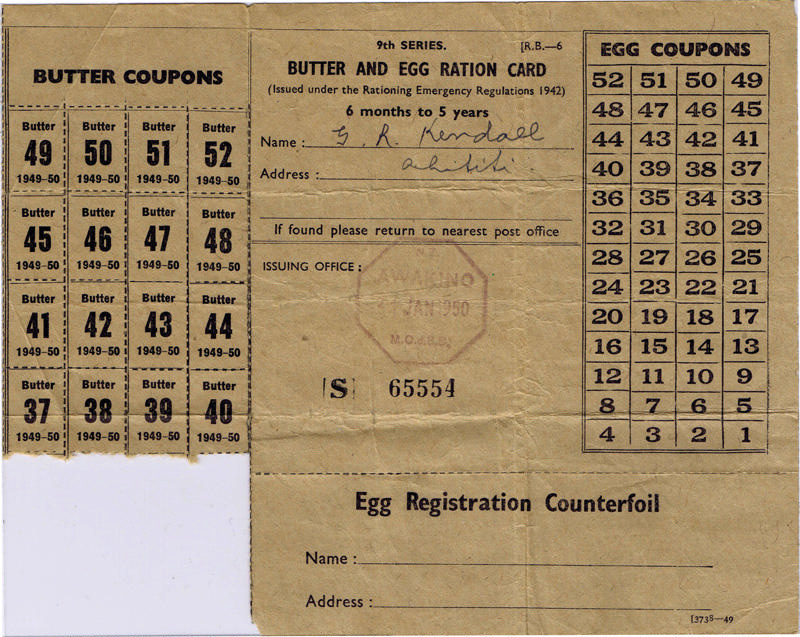 Butter and egg ration card. 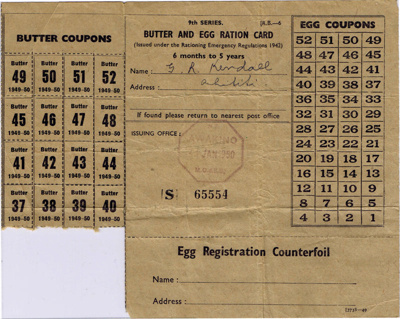 Butter coupons on the left, numbers 31-52 remaining. Two bottom rows missing. Name and address of owner written in middle section, with stamp of date and place of issue (Awakino, 31 Jan 1950). Egg coupons on right, numbers 1-52. Name and address left blank in Egg Registration Counterfoil section at bottom.